Mexican Korean fusion? Yeah, that’s right, tonight we’re getting trendy on you. 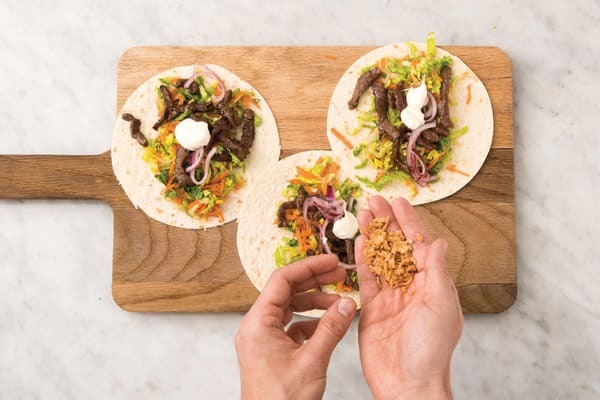 Don’t worry though, after you’ve tried our easy pickle on this colourful taco, you’ll be glad we did. Finely chop the garlic (or use a garlic press). 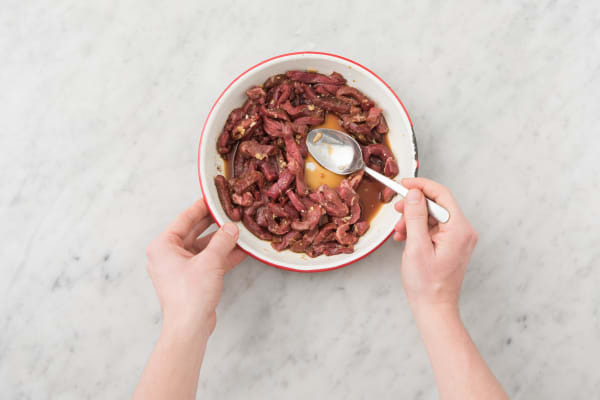 In a medium bowl, place the garlic, beef strips, soy sauce and honey. Toss to coat and set aside to marinate. TIP: If you have time, marinate the beef for at least 15 minutes to enhance the flavour and increase tenderness. While the beef is marinating, thinly slice the red onion (see ingredients list). In a small bowl, combine the vinegar, water, salt and sugar. 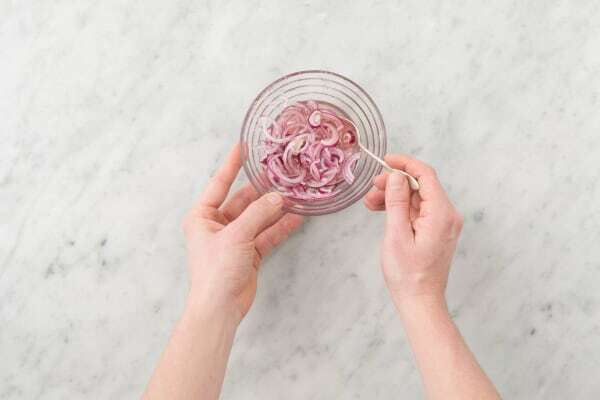 Scrunch the onion in your hands, then add to the pickling liquid and stir to coat. Set aside until just before serving. TIP: If you don't like pickled onion, skip this step and cook the onion in step 4 with the beef. While the onion is pickling, grate the carrot (unpeeled). Shred the cos lettuce. Thinly slice the long red chilli (if using). 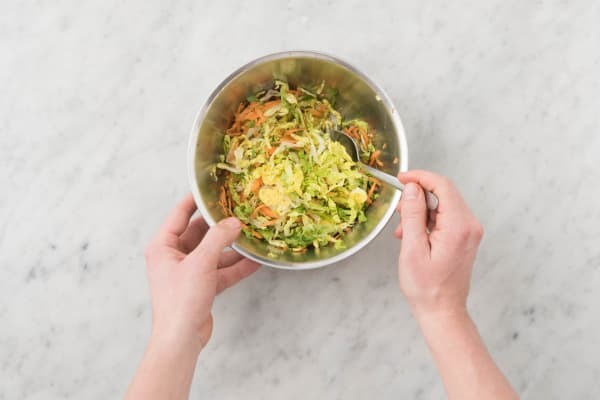 In a second medium bowl, combine the carrot, lettuce and chilli (if using). Season with a pinch of salt and pepper and toss to coat. Set aside. In a medium frying pan, heat a drizzle of olive oil over a high heat. Once hot, add 1/2 the beef strips and cook, tossing, until browned and cooked through, 1-2 minutes. 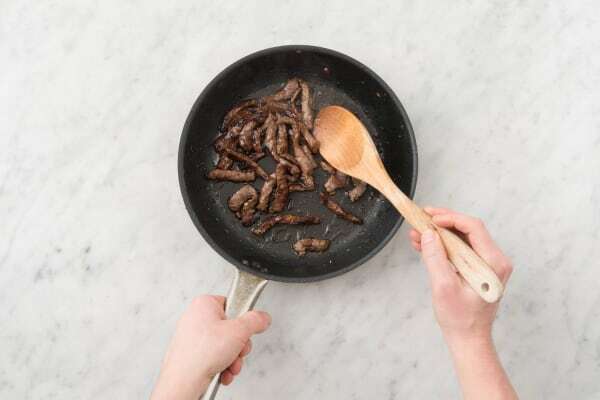 Transfer to a plate and repeat with the remaining beef strips. TIP: Cooking the meat in batches over a high heat keeps it tender. TIP: You can cook the red onion with the beef if you like. 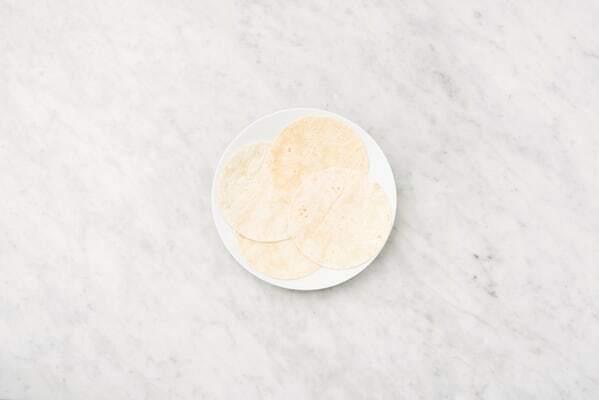 While the beef is cooking, heat the mini flour tortillas in a sandwich press or on a plate in the microwave for 10 second bursts, or until warmed through. Just before serving, drain the liquid from the pickled onion. Take everything to the table to serve. 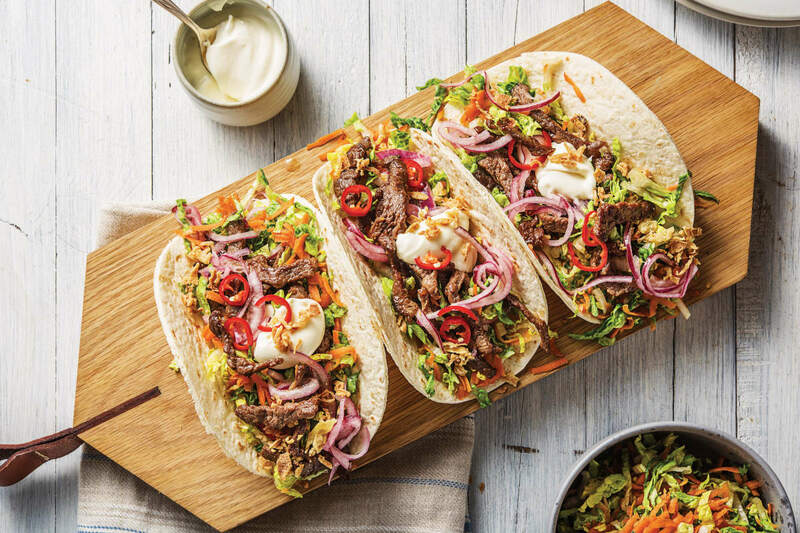 Top the tortillas with the salad, the Korean beef and the quick pickled onion. Add a dollop of garlic aioli and a sprinkle of the crispy shallots.